Posted 9-17-18. 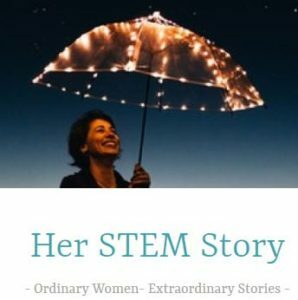 Her STEM Story Podcast has one-on-one interviews with more than 25 different women (and counting) who are successfully doing unique and exciting things in the field of STEM. The podcast tells the story of REAL Women in STEM to inspire more girls to join forces to change the world! Ordinary Women Extraordinary Stories.